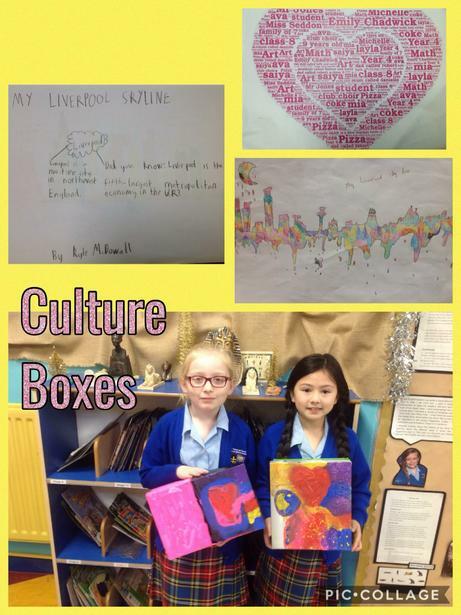 As part of our International School award, for the past few months, a selection of children from all years have been involved in the ‘Culture Boxes’ project. In this project, the children were tasked with filling their own box with things that remind them of Liverpool. We did this so that we are able to share them with our international schools we are linked with. We are now waiting for culture boxes from China, Spain and Ghana to learn more about these places. Keep posted for updates when they arrive.